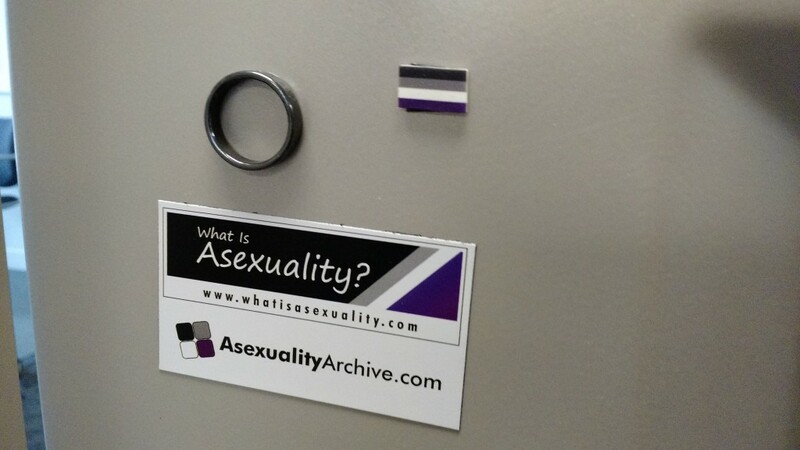 This month’s theme was “Ace-ing it up Offline“, about asexuality in the physical world. 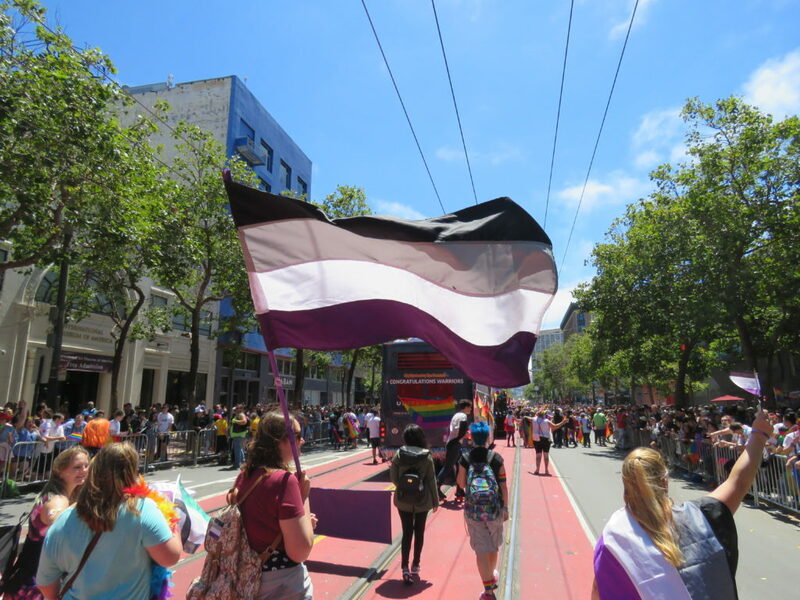 Ettina at Abnormal Diversity writes I Finally Have Queer Friends about making friends at Pride. Lib at A³ talks about some Barriers to Off-line Ace Meetups that they’ve encountered. Sara K. at the notes which do not fit discusses leading ace walks. Chris at Wish-ful Thinking talks about discovering asexuality, coming out, and what they’ve learned along the way. Isaac at mundo heterogéneo discusses Meetups. C. submitted an entry about marching in LA area events. Ace Toronto put up a set of pictures of local ace events. And the Ace Pride Toronto marching group put up photos of marching in Pride Toronto, including some links to outside media where the group appeared. 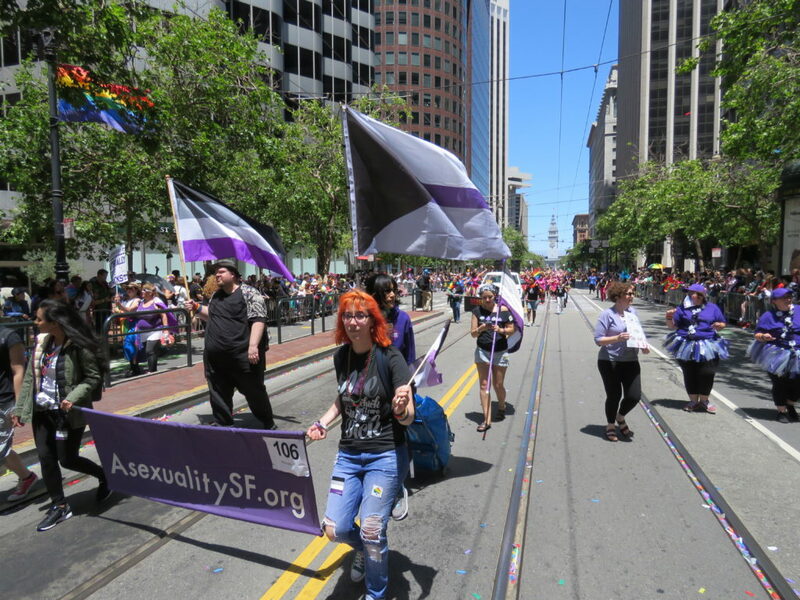 luvtheheaven wrote about meeting other aces and off-line activism work. Patience talks about the difficulty of being casually ace. 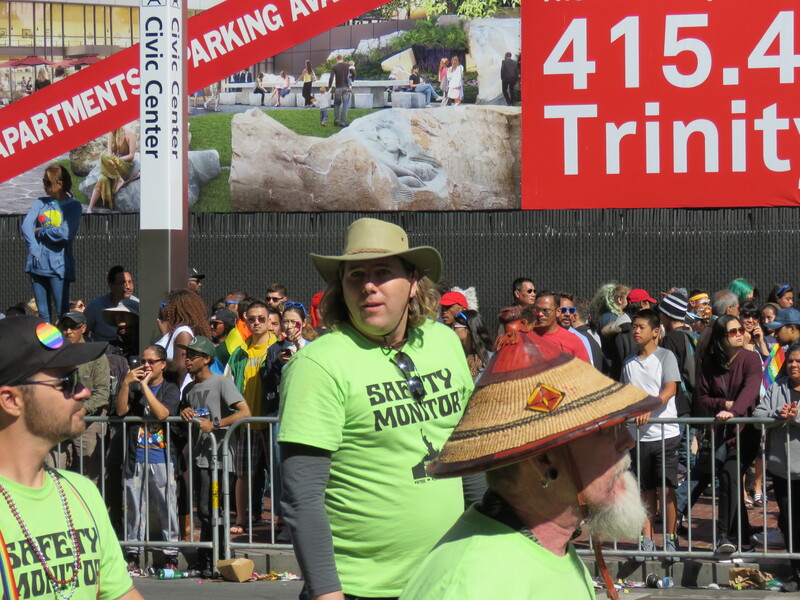 I wrote some Thoughts on a Parade, about my experience at the 2017 SF Pride Parade. I also put up a photo gallery of my Subtle Everyday Aceness. And here’s a belated entry from Rotten Zucchinis. Huge thank you to everyone who submitted this month! 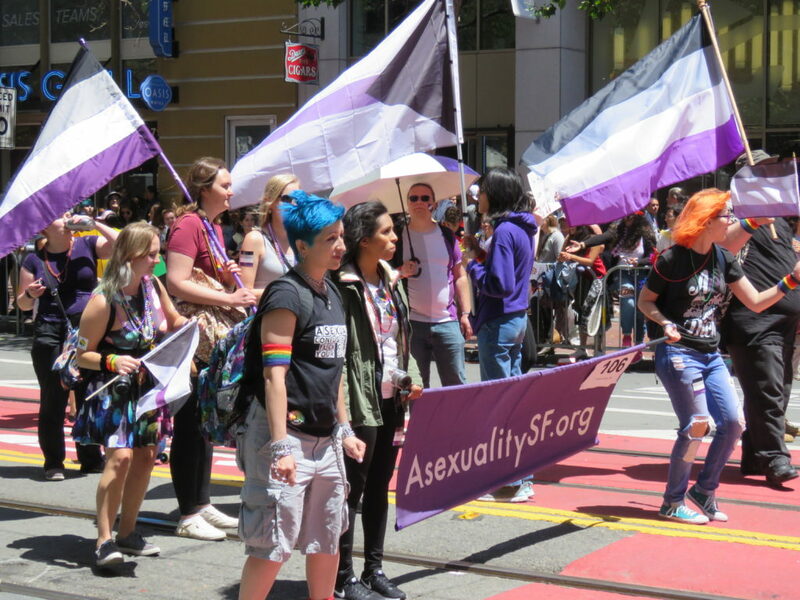 The Carnival of Aces is a long-running monthly asexuality-themed blogging event, run by The Asexual Agenda. The August Carnival theme is “Asexuality and Academia“, and is being hosted by Asexual Research. Go check it out! Although this is for the Carnival of Aces theme about age and asexuality, it’s not really about age or asexuality. At least not directly. Instead, it’s about something that comes up over and over when younger aces talk about growing up: The fear of living alone. I’m in my thirties. I live alone. I’ve lived alone for almost nine years now and let me tell you a secret: It’s not scary. Know why? Because it’s awesome, that’s why. Know what’s in my closet? My clothes. Know who gets the blankets at night? Me. Know what’s on TV? Whatever I want to watch. Know who uses all the hot water in the shower in the morning? I do. Know who gets to use the car tomorrow? No one, because it’s Sunday and I don’t feel like going anywhere. I live alone in a four bedroom house. Know what’s in one of the bedrooms in this house? It’s not a guest bedroom that has to be maintained for the in-laws. It’s not a playroom for a rabble of rugrats. It’s full of video games. Nothing but video games. I have video games from systems you’ve never heard of. Do you know why? Because it’s my house and I want a room full of video games. I didn’t have to get permission when I decided to staple a hundred plastic plates to my wall to make a gigantic Tetris hallway. I didn’t have to convince anyone when I decided to replace some lightswitches or put up some shelves. I didn’t have to form a selection committee when I decided to put waterfall pictures on my stairs. I don’t have to ask for forgiveness when I take over the dining room table for an art and/or science project that has no rational explanation. You know what I had for dinner last night? Pepperoni pizza. Know what I’ll have for dinner tonight? Pepperoni pizza. Know what I’ll have for dinner tomorrow night? Pepperoni pizza. Know why? I like pepperoni pizza. There’s no negotiating about menu variety or freezer space, and there’s no demands that I go to an overpriced restaurant that I hate. And it’s not just inside the house where being single comes in handy. I like to go on vacation. So far, I’ve been to two decommissioned nuclear reactors and one atomic bomb detonation site. I’ve seen the world’s largest frying pan, a life-sized statue of Yoda, and the landfill in the desert where Atari buried thousands of copies of the ET game. I’ve stood on a corner in Winslow, Arizona, I’ve gone where the streets have no name in Joshua Tree, and I’ve climbed underneath the bridge on the muddy banks of the Wishkah. And I haven’t had to justify any of it. I go where I want and stay as long as I like. I don’t complain if I have to have spray cheese and crackers for dinner because I’m camping someplace that’s a hundred miles from a restaurant. I don’t have to deal with anyone getting hungry or getting bored or getting tired or needing a pit stop ten minutes after I just bought gas. Know how many outlet malls or art museums or roadside fruit stands I’ve had to stop at? None. Of course, it’s not all sunshine and lollipops in this world. All the chores around the house are mine to do. I can’t weasel out of doing the dishes or the laundry, and the overgrown jungle of a backyard is silently mocking me for failing to keep it under control. There’s no one else around who I can get to kill the spiders for me, either. As much as I like going on vacation, let’s face it, places like the Willamette Valley are much better if you sleep the whole way through them, and it’s really hard to do that if you’re driving. (Although, it would be a lot easier to do if it weren’t for that slight curve near Eugene…) Also, there was that one cave in California where I decided that it was dangerous to go alone, so I didn’t go inside, even though it’s supposed to have an amazing wall of ice in it. If I get sick, I can’t lay in bed all day while someone waits on me. If someone has to call the mortgage company or make reservations or otherwise use that terrifying contraption known as a telephone, it has to be me. If I go into a store, there’s no one else who can deflect the pushy salespeople. And if I somehow get trapped in the crawlspace when trying to rig up that air conditioner I was talking about, there’s no one who’ll rescue me and I’ll die down there and no one will ever find my body. Perhaps the worst part about living alone is that I don’t have anyone to help me load Ikea furniture into my car. Have you ever tried to fill a Prius with flat pack bookcases all by yourself? Let me tell you, it ain’t easy. So basically, I guess what I’m saying is that you shouldn’t be so worried about ending up alone, because being alone is what you make of it. Now if you’ll excuse me, I’ve got to go mount a giant pixel-art mural of a level from Super Mario Bros. on my wall.